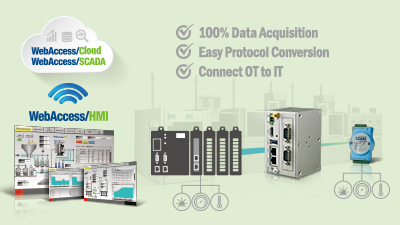 Visit Solution Introduction and Get Free Demo at "http://www.advantech.com/srp/ifactory-fec220"
This Solution Ready Platform allows users to easily acquire 100% of equipment data through 450 PLC drivers, self-defined communication protocols and a distributed digital I/O module. Equipment data is available for OT/IT system integration via Modbus/ OPC UA/ MQTT with visible production information, optimized production profiles and more. See how this solution: - Extend Equipment Lifespan Increase the value of legacy equipment with multiple protocol conversions. - Digitize Manufacturing Information Improve manufacturing efficiency by real-time production monitoring and machine status diagnosis.